Keeping the public safe from harm on your streets and highways is hard work. 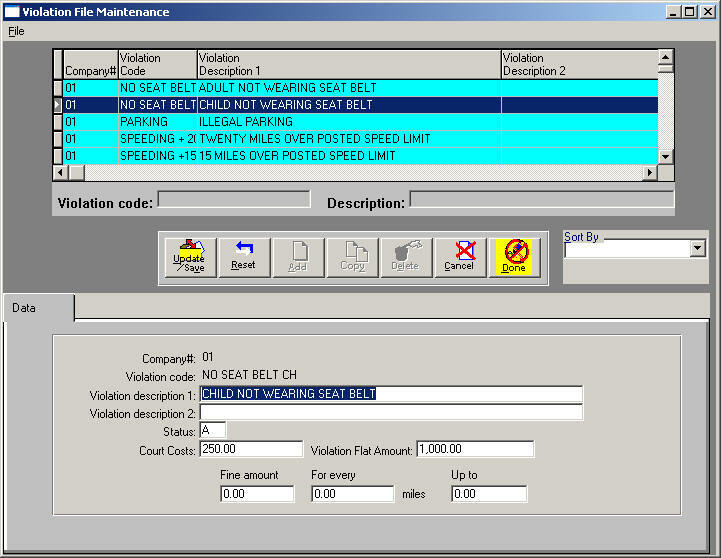 The easy part should be accounting for traffic tickets after they are written. 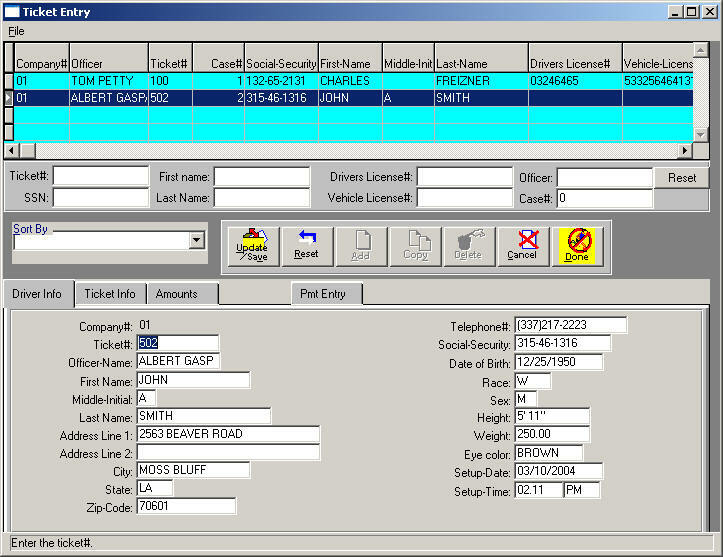 CSAS/Pro Ticket Tracker helps the administrative and clerical personnel of a municipality account for traffic tickets and track court dates. CSAS/Pro Ticket Tracker also tags for suspension the drivers license of the offenders who fail to make their court dates. All information is stored according to the officer who writes the ticket, the offender who receives the ticket, and the ticket number. Multiple companies can be set up for multiple jurisdictions and/or multiple classifications of offenses. Payments designated to other funds are automatically compiled. 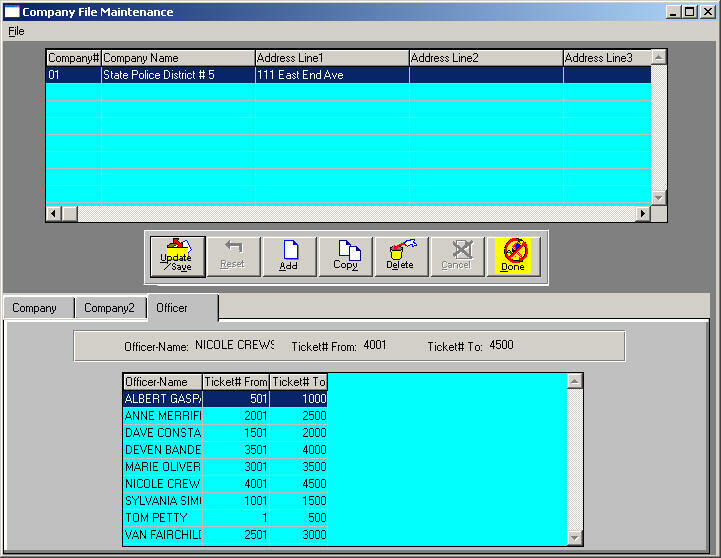 CSAS/Pro Ticket Tracker is designed for quick and accurate lookup of offender or ticket number. Printed reports from CSAS/Pro Ticket Tracker are excellent tools for reporting to management on the status of paid and unpaid traffic tickets.